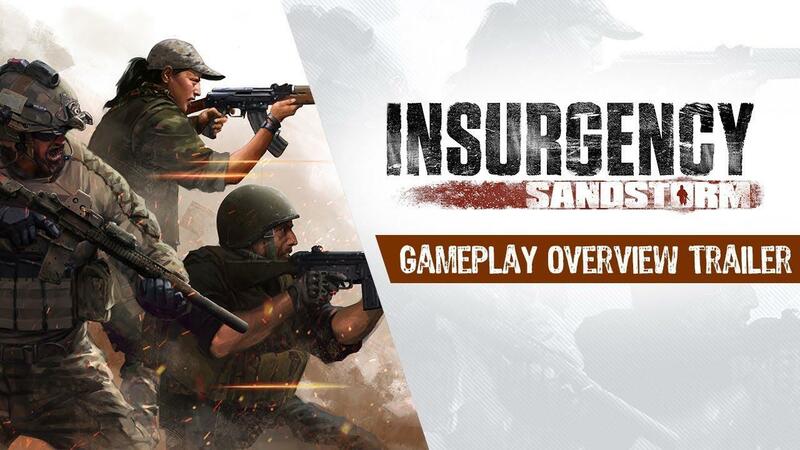 Insurgency: Sandstorm, the team-based, tactical FPS that's acting as a sequel to the first standalone Insurgency title is releasing soon. Linux is coming, but no ETA. Thanks! We are still planning on adding Linux and Mac support post-release but have no updates or estimates on when it will happen. While it's not exactly different to what they said before, the importance of this is that NWI continue to confirm they will be doing Linux support. I think getting that confirmation more than once is important. It keeps the Linux version in their minds and shows them there's interest when people keep asking about it. Such shooters might be quite common on Windows, but they're lacking on Linux. I have to say, I'm personally very excited by it. We do have the first Insurgency game on Linux, but it's showing its age now. Sandstorm is improved in many areas, not just when talking about graphics. The weapon handling, the sounds, the maps—everything is bigger and better from what I've seen of it. You can follow it and wishlist it on Steam, ready for the eventual Linux release. Let's hope they don't keep us waiting too long. Haven't this addon being released ages ago? But not for Linux? cRaZy-bisCuiT Haven't this addon being released ages ago? But not for Linux? No. The open beta for Windows starts on December 8th. It's not an addon, both this and the previous games are standalone complete games. Before that, there was a mod but that's years old. And 5 vs 5 players, at least we can have a bit of Rainbow Six Siege vibes! liamdawe No. The open beta for Windows starts on December 8th. I fully agree we are seeing more and more devs getting gun shy about linux even older previously linux friendly studios are moving away from it like 11 bit studios id be lying if i said it was not a concern because gaming is my main hobby its what i do to relax, am not against steam play i just dont want it to be the only option. Can't Wait ... hope will be soon on linux. I will buy it when it comes to Linux. My friends and I really like Insurgency, easily more than Counter-strike. I can play it with my Windows friends, which is a huge plus.